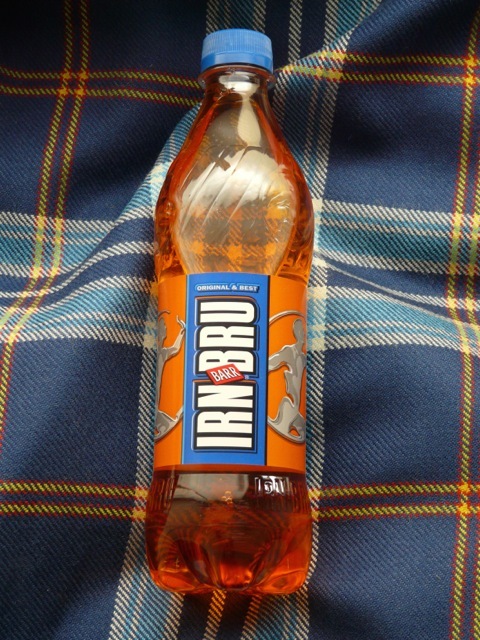 At StammBar you will find in the fridge chilled soft drinks and even the world famous Scottish Irn-Bru (forget Red Bull, although we have that too, because this stuff is made from girders). Also available are alcohol-free beers and wines. A selection of spirits including vodka, rum and tequila can also be purchased by the shot glass from Robin should you wish to strengthen your “non-alcoholic” beverage. All drinks other than spirits can be taken from the fridge and shelves and purchsed directly using the self-service checkout desk with your i-Button. Non-Alcoholoc Drinks- – Cola, Fanta, Sprite, Apfelschorle, Water – Bionade Hollunder, Bionade Orange and Ingwer, Bionade Litschi – Irn-Bru, Red Bull – Franziskaner Alcoholfrei Weissbier, Clausthaler Wines- – Prosecco – Riesling, Pinot Grigio – Rioja, Cannonau Did you know that StammBar is the only bar in German that is supplied by Barr’s with Irn-Bru. Don’t leave without trying this phenomenal drink, because you won’t find it in any other bar in Germany.